Jayme Ratzer (Vicky) was born in Colorado and grew up in Florida. She studied sociology and acting at Flagler College in St. Augustine, and also portrayed Vicky in the short version of the film, New Personal Worst. She currently lives in Los Angeles, where she has appeared on HBO's Curb Your Enthusiasm and Entourage. Her latest project is the short film Abigale, directed by Robert Machoian and Rodrigo Ojeda-Beck. 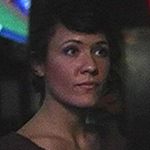 Valerie Jones (Joanna) grew up in Blountstown, Florida. She graduated from the University of Florida in 2006 with a degree in Public Relations. She also portrayed Joanna in the short version of the film, New Personal Worst. Valerie now lives in Tallahassee, Florida where she works as a Legislative Assistant. Recently, she has appeared in the short, The Continuum, by Chris Faupel, with whom she is writing and co-directing her next film. 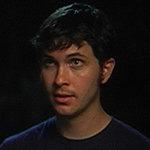 Toby Turner (Dave) was born in Mississippi but grew up in Niceville, Florida. He has a degree in Telecommunications from the University of Florida. Currently, he works as an actor, comedian, and viral marketer in Los Angeles. His YouTube channel, Tobuscus, is one of the most popular on the site, with over 1.4 million subscribers and over 200 million views. He has created content for NBC, Disney, Fox, MTV, Sony Pictures, and Comedy Central, among others. 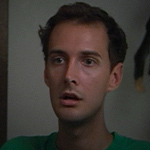 Adam Bowers (writer, director, producer, editor, Wendell) was born and raised in Dunedin, Florida. He graduated from the University of Florida in 2007 with a degree in telecommunications, where he made a number of short films. A week after shooting New Low in 2008, he moved to Los Angeles, where he writes and performs comedy. In 2010, Filmmaker Magazine included him in their annual list of "25 New Faces Of Independent Film." New Low is his first feature, and he's currently at work on his second. He has also been a contributing writer for The Onion News Network. Ryan Moulton (director of photography) is a filmmaker, cartoonist, and graphic designer living in Los Angeles. In addition to New Low, he's recently worked on the web-series Oppie's Friend, Gene, the web-comic Fifteen, and various short films.